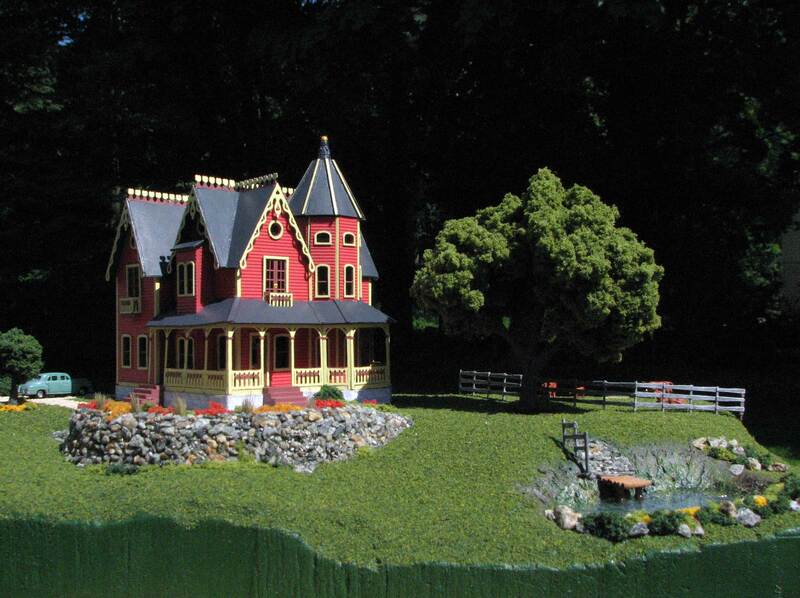 Welcome to Victorian Dollhouses, featuring our tiny mansions with unique landscapes and battery-powered lighting. 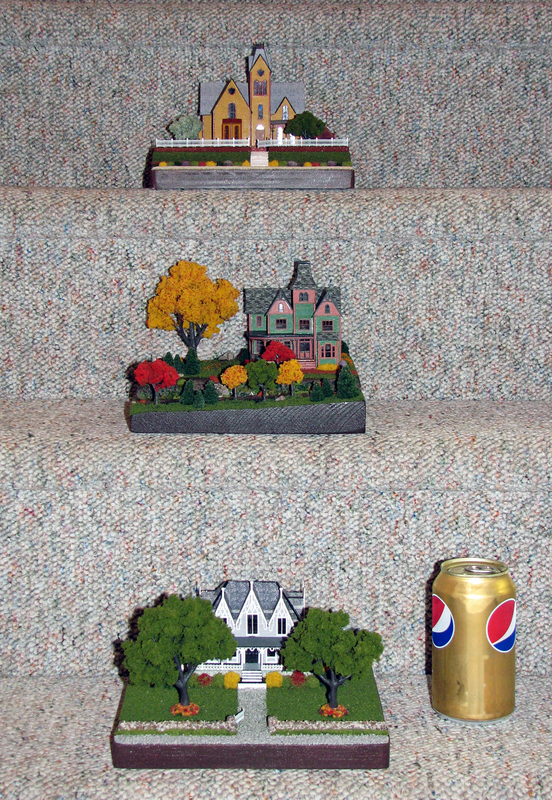 Each microscale house is an elaborate work of miniature art by Kathy Walsh. Visit our Gallery to find that one-of-a-kind gift for someone special, or a charming nightlight for baby's room. These grand Victorian homes are mounted on a base with an acrylic cover to ensure years of dust-free enjoyment.